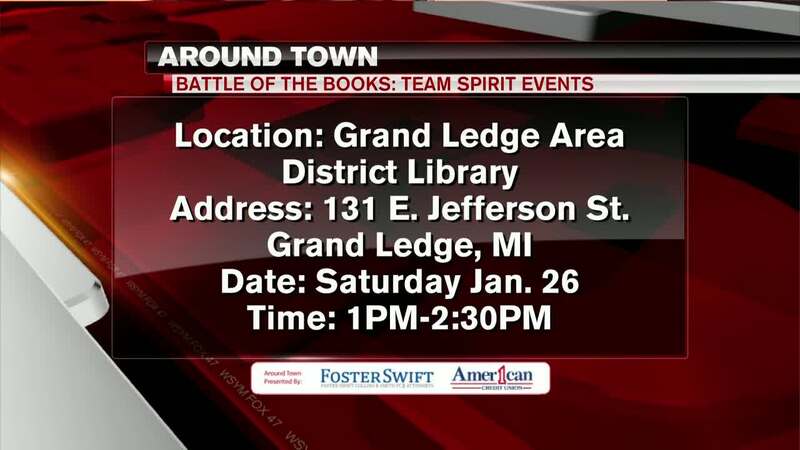 It's the "Battle of the Books: Team Spirit Events" happening this Saturday at the Grand Ledge Area District Library. It runs from 1 to 2:30 pm. The library will have materials on hand to help you build some team spirit. Guests can make posters, buttons, and more. Those who'd like to decorate clothing can bring their own items. Fabric paints and markers will be provided.